Increase Your Joy Podcast 8 [amazon_enhanced asin=”0743562720″ container=”” container_class=”” price=”All” background_color=”FFFFFF” link_color=”000000″ text_color=”0000FF” /] Power to Change – Buy My Book! http://www.JoyousExpansion.com Try Audible Now and Get A Free Audiobook Download with a 14 Day Trial. Choose from over 75,000 Titles. Power to Change – Buy My Book! 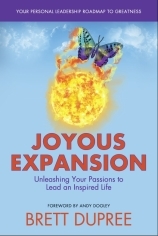 http://www.JoyousExpansion.com Try Audible Now and Get A Free Audiobook Download with a 14 Day Trial. Choose from over 75,000 Titles.